Come aboard and get pampered on Carnival Inspiration! 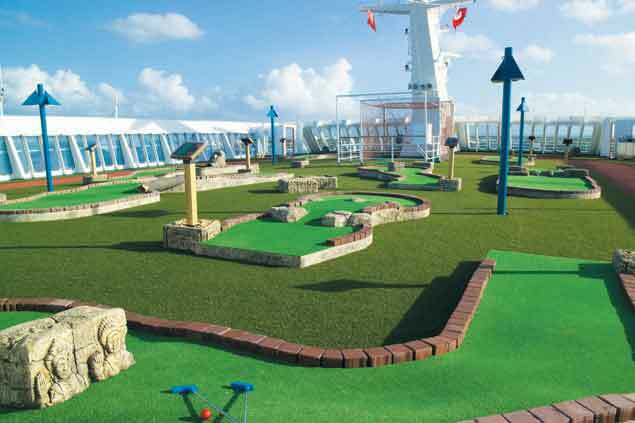 Newly renovated, the fun never stops - especially with the new 9 -hole mini-golf course, resort-style swimming pool, WaterWorks water park, and the adults-only Serenity Retreat! Inspiration only offers the best dining, accommodations and service - and combine this with the on-board entertainment (which includes a casino, a nightclub, and much more! ), Inspiration is the only place you'll want to be when you take your next cruise to the Caribbean! The Waterworks park is great for all ages with its Twister Slide and Splash Park, but if you want a break from the kids you can just go and relax at the Serenity Retreat with its serene view of the water; grab a lounge, or enjoy one of the hot tubs! Grab a drink and a lounge, and lounge around the resort-style pool complete with palm trees! 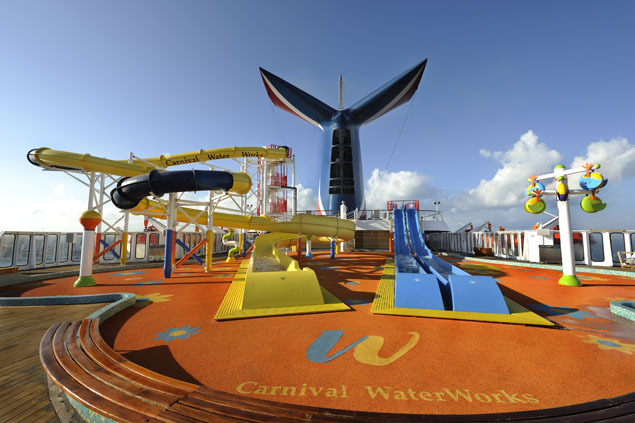 If you really want to pamper yourself, Carnival Inspiration Spa Carnival is the perfect place to do it. 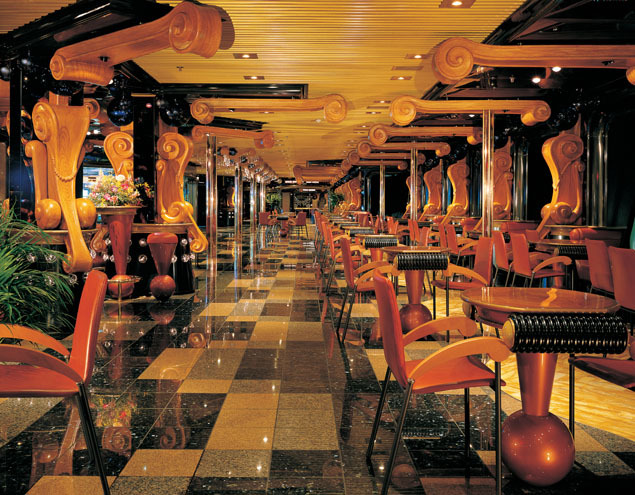 If you feel like wandering around the ship, check out the Fine Art gallery, or the photo gallery where you can see your favorite pictures of the fun you have been having on your cruise! Want a memento? Grab something to remember your trip in the shops on the Atlantic deck - and there are even duty-free stores! Get inspired by a great novel in the Shakespeare Library, or take a book and relax at one of the three outdoor pools. Inspiration also offers two children's playrooms, a card room, a Nautica jogging track (1/8th mile), a spa and massage room, a beauty salon and a barber shop. On top of all this, there is a radio room, closed circuit TV and satellite TV, shuffleboard, table tennis, VCR rentals... you'll always have something to do, no matter what time of day it is! If food is your thing, check out these dining options: The formal dining rooms on Inspiration offer an exquisite culinary experience including fresh lobster and a huge variety of wines, as well as great service! Fascination offers the Supper Club, which is a reservations-only, chic Manhattan-restaurant setting. Offering your favorite menu items from the steakhouse, the Supper Club guarantees to please you with every bite. For the more casual diner, there are midnight buffets, a 24-hour pizzeria and even European Cafés so that you can satisfy whatever craving you have! For the youngest members of your family, the kids menu offers all of their favorites including pizza, spaghetti and meatballs, hamburgers, hotdogs, and much more! 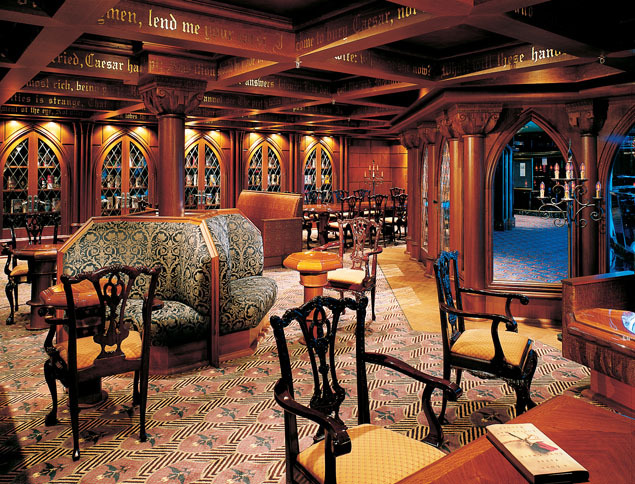 Enjoy the company of your friends, family, and the other passengers in one of the several bars and lounges onboard Inspiration! Check out a Vegas-style show in the Paris Lounge, which features a 2-level showroom, or for a more low-key night try the Avante-Garde Lounge, which also features a dance floor! There's the Candlelight Lounge which has more intimate shows, the Rhapsody in Blue Piano Bar, the Violins Bar, and the Chopin Lounge (which is also a piano bar)! If you want to try your luck, go to the Monte Carlo Casino! 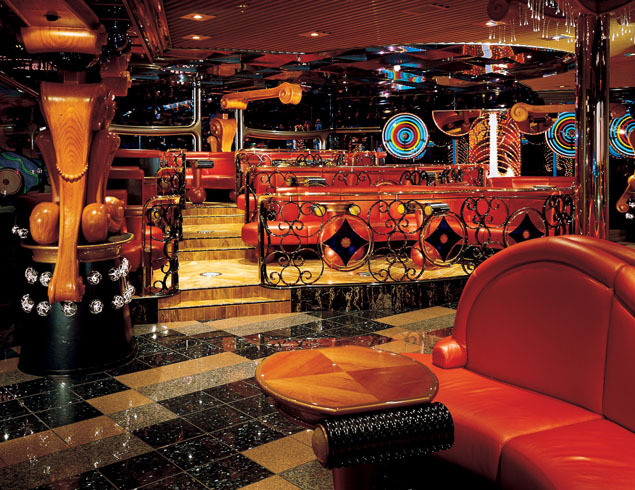 The ship also features two discos - an adult nightclub called the Rock & Roll Dance Club (one of the most popular nightspots) as well as a Teen Disco Club for the younger crowd. You can also walk down Inspiration Boulevard, or enjoy a drink at the Café des Artistes.